Yoga blocks, bricks, straps, belts and props to assist your yoga practice. Eye pillows for meditation and relaxation. Need to organise your life? Yoga themed diaries and planners. Traditional 108 bead Mala beads, pendants and necklaces. Blankets for extra cushioning or to keep you warm and relaxed. Save money when you buy a yoga kit from Yoga Bloke. Incense and holders for meditation, yoga practice or the home. Music for yoga, meditation and relaxation. Yoga Bloke is the yoga shop for men. 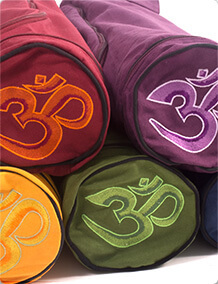 Specialising in yoga clothing for men, yoga mats, yoga mat bags, yoga blocks bricks and straps. 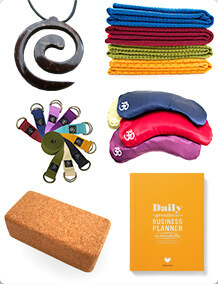 We also sell great gifts, diaries, journals, mala beads, yoga kits, cds, incense, eye pillows and blankets. 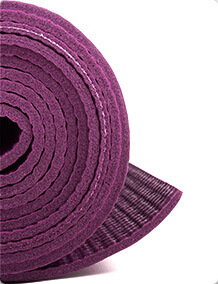 Yoga Bloke has been supplying yoga equipment for many years now and is the brother site of Yoga Bliss. We are a family run business operating from the wonderful Hertfordshire countryside and our aims are simple - to provide quality yoga products to the yoga community. Whatever your yoga requirements we have something for you. Watch out for our special offers, discount codes and reduced to clear items too!